If you have ever been intrigued, interested or even outraged over an issue that affects you or a loved one, then you may have said those very words. Getting involved politically, especially at the State level, is much easier than you think. Your voice can be very powerful if you choose to use it. It is relatively simple to contact your representatives and make your opinion known. You have the opportunity to directly impact legislation that could become state law. Involvement can range from making a call or sending an email, or it could be testimony in a committee hearing - you can take it as far as you want. Identify which Representatives serve you. Use the link below to find your elected officials. Contact Let them know that you have an opinion. They want to hear from their constituents and value your input. You may be able to provide them with experiences, anecdotes, and expertise. Who represents me? Enter your address for a list of all of your representatives, along with a link to their page, contact information, bio and committee assignments. Below are links to the specific committees in each body that generally address issues important to seniors and those that serve them. In each committee’s page, there are details about the members of the committee, the bills they are considering and meeting and hearing schedules. 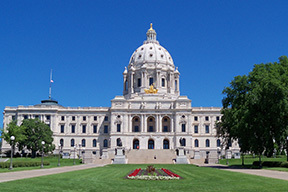 The pages are full of clickable links that will provide you with a wide variety of information to help you make your voice heard in the Minnesota Legislature. You can read proposed legislation, see when hearings and committee meetings are held, sign up to get email updates on progress of committee business and much more.